We design, manufacture and install beautiful bespoke commercial bars, taking into account style, fixtures, furniture and layout to craft an innovative solution to suit your business and clientèle perfectly. What goes on under the bar is arguably the most important part of any commercial bar system. 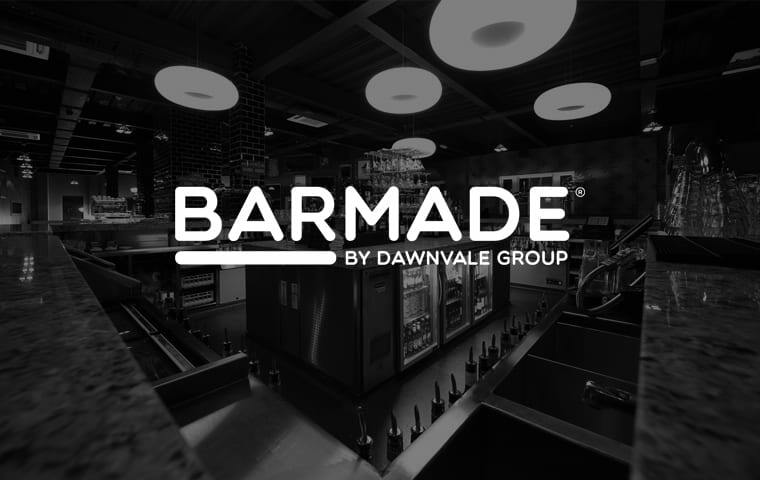 That’s why we’ve created BarMade – a unique, value-engineered underbar system designed with hygiene and speed of service in mind. Look, feel, performance: a commercial bar top needs to pull its weight in several key areas, which is why it’s so important to consider your options carefully. 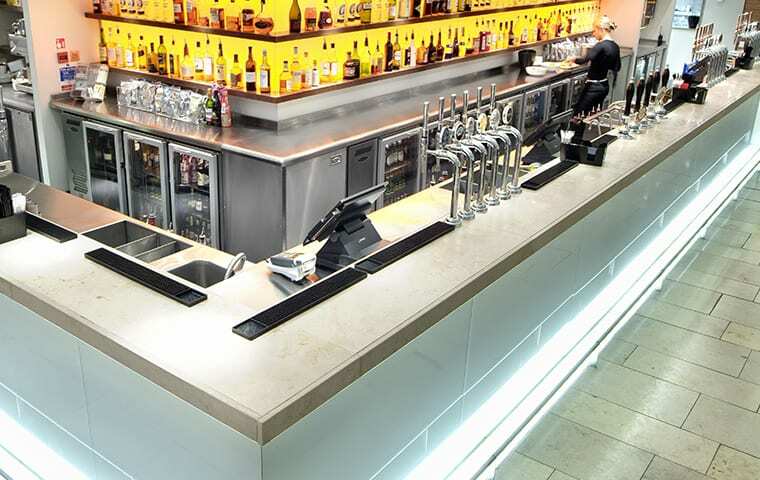 We provide customers with a range of bespoke bar tops and counters designed to suit any commercial application. Day or night, your bar front and side panels need to bring real visual impact to your space. 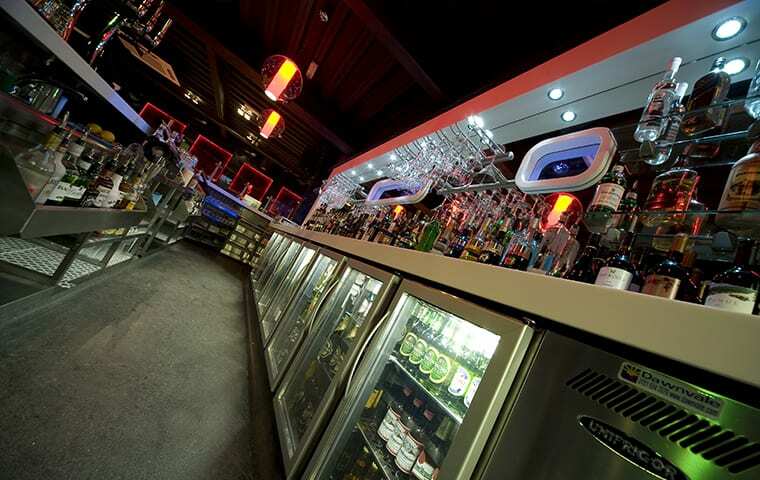 Whatever look you’re trying to achieve, we’ll craft you a bespoke bar frontage to suit, complete with beautiful custom energy-saving LED lighting. The perfect back bar display combines function and style. Visible to your customers, your back bar needs to showcase the drinks you’ve got on offer while making life easier for your staff. We use the one-step rule, putting everything you need within easy reach. 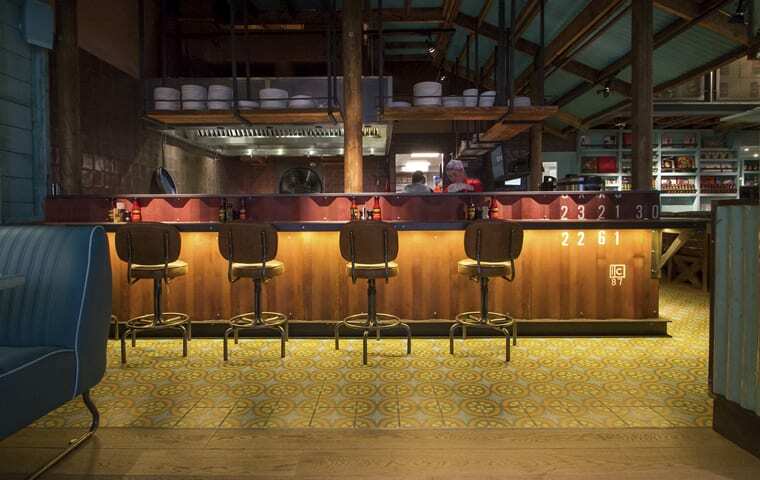 Take a look at some of the beautiful commercial bars we’ve created for our customers. Each one is completely bespoke, and fitted and installed in as little as two days. 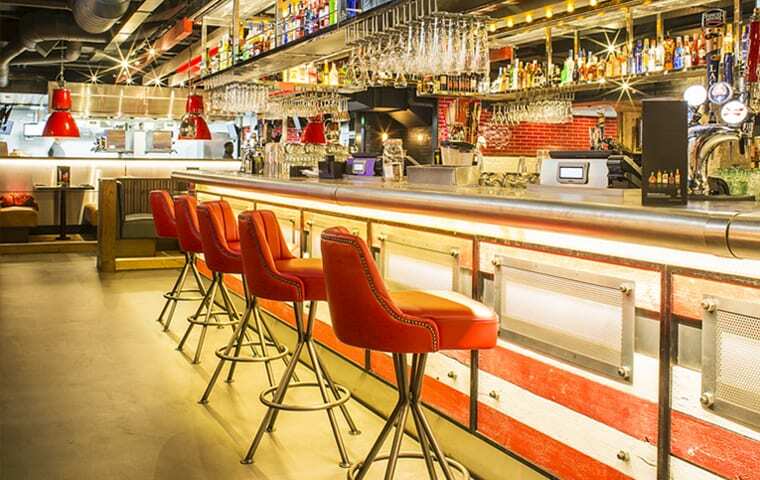 Give us the footprint, and we’ll build you the perfect commercial bar.